Roast Lamb in the Olive Groves. On the sleepy and beautiful Ionian island of Paxos, the local people still follow the old ways. They cook from ancient recipes: simple dishes, handed down the generations until they are instinctive – in which good ingredients are allowed to speak for themselves. The food on this little island is special, because by happy accident of history and geography, Paxos is the place where Greek and Italian cuisines meet. Here, you have the simplicity and robust flavours of traditional Greek food, lifted with Italian style and panache. The result is the quintessence of Mediterranean cooking – dishes that are simple to prepare, with fresh, healthy ingredients in imaginative combinations. Learn how to make real tzatziki; roast lamb on a spit and prepare octopus; cook one of Belinda’s warm pies on a cold winter night, or concoct fresh watermelon daiquiris for friends on a warm summer evening. Many times, you fall in love with something you have tasted on holiday, only to be disappointed when trying to recreate it at home. 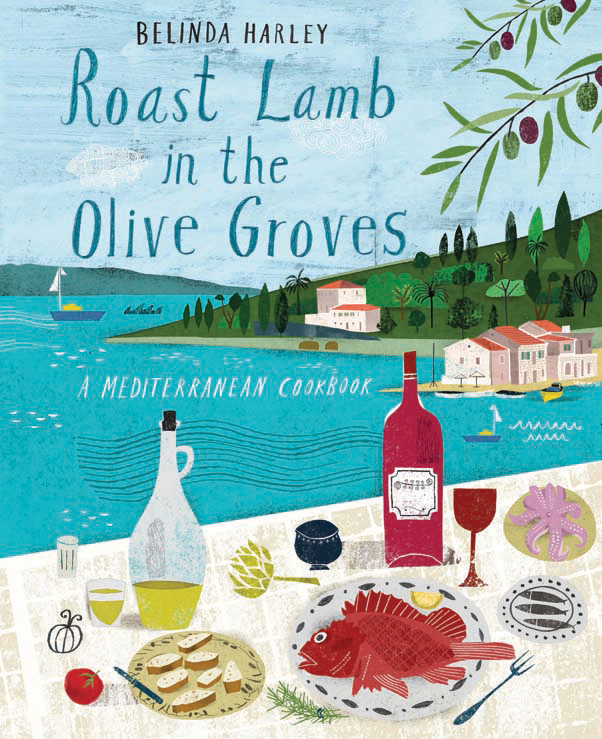 Roast Lamb in the Olive Groves not only brings a treasure-trove of tastes home safely, it shows how these dishes can be made dazzling and inspiring for modern cooks to serve at home. In sparkling, original recipes that are true to the spirit of Paxiot cooking, it shows how the ancient can be very modern indeed.